Collections of specimen pages are a characteristically Chinese bibliographical genre, albeit one that doesn’t go back much more than a century. The earliest example is thought to be a work by the famous bibliographer Yang Shoujing 楊守敬 (1839-1915), who in 1880 became an attaché in the Chinese embassy in Tokyo. While in Japan, he befriended local bibliophiles such as Mori Risshi 森立之 (1807-1885), and taking advantage of the low price that Chinese books were currently fetching on the market there, built up a collection of editions that were either rare or not extant in China, and eventually shipped them home. His notes on these books were published in 1901 with the title Riben fangshu zhi 日本訪書志. This work is notable for three reasons. Firstly, it is the prototype of the genre; secondly, it is rare; and thirdly it is block-printed, and not produced photo-lithographically as all the later collections are, right up to the present. Although the page appears to have been produced carelessly, it is in fact a superb example of the block-cutter’s craft. The tilt is deliberate, as evidenced by the specimen on the right hand side of the leaf, which is squared up (not visible of course in this illustration); it has been made so in order to replicate exactly the copy from which it was traced. The smudges are also deliberate, and even the worm holes have been carefully reproduced. A second collection (「二編」) in eight fascicles and containing a further 252 specimen pages was published posthumously in 1917. Kyoto has both parts, so does Stanford, but I have so far found none elsewhere. 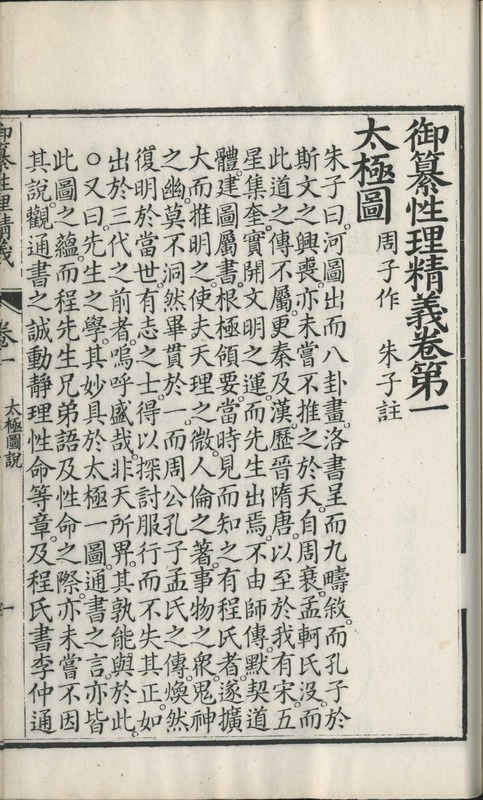 The purpose of these collections, which continue to be produced, is primarily to show what the editions look like – Chinese printed pages are very variable in design and presentation, and are difficult if not impossible to visualise from normal catalogue entries. But specimen pages are also an invaluable tool for the cataloguer as an aid to identification. This is best illustrated by the following example of a problem we experience whenever we set about cataloguing a Chinese book. Each half-leaf has large text in 8 columns, with 18 characters in each column; there is small text in double columns, with 21 characters in each column; there is medium-size text in 8 columns, with 20 characters in each column. The block frame is a double line all the way round, the centre column is white, there is one fish-tail, and there are no column rulings. Each half-block is 22.5cm. high and 16.2cm. wide. The problem is, the elaborate physical description above could equally be applied to this copied edition. Only the dimensions are slightly different, and even they are not critical to identification. A wooden block which is dry, perhaps having been stored for a long time (and some are stored for centuries) will have shrunk. When inked, it will begin to expand, so that the impressions taken at the end of the day are sometimes considerably larger in height than those taken at the beginning. The grain of a printing block always runs horizontally (as evidenced by cracks, which are never vertical), so the expansion always affects the height, not the width of the printed leaf, which stays the same. However, thin Chinese paper is very unstable, and easily distorts when moistened, so that the printed area of a leaf, first wet from the printing, then dry, is not necessarily identical with that of the block from which it was printed. And if the book is old and the leaves have been repaired and perhaps even laminated, the measurements will be of no use whatsoever for distinguishing editions. 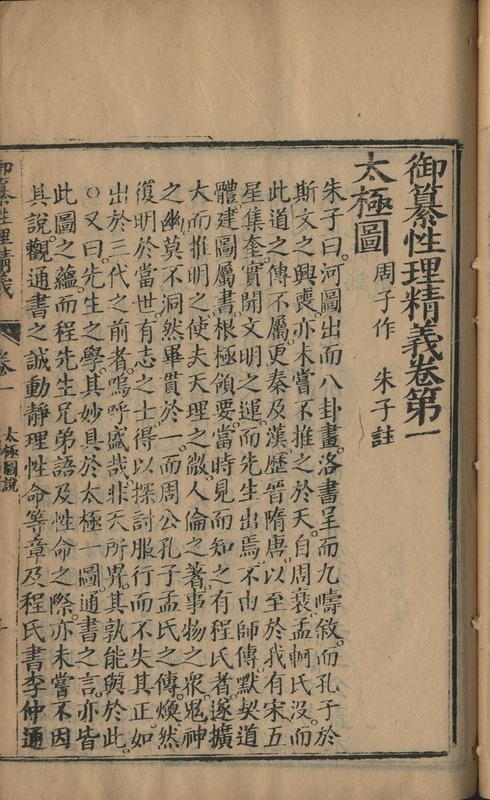 All this leads me to question the value of these traditional Chinese book descriptions, especially when we can now produce scans of “specimen pages” 書影 so easily and make them universally available on the internet. We do not need to describe what can be seen at a glance, and the specimen page leaves no doubt as to which block an impression is taken from. This is why modern online catalogues are increasingly attaching specimen pages to their records, and why we have developed this functionality for our own. Producing them is a little time-consuming, and I have not been able to make them for every record. But I try to do so at least when I’m unable to identify an edition, or when my confidence in an identification is less than total. In the examples quoted above, it is quite clear which edition is which, because one is printed on fine white paper, the fascicles have indigo covers, and the preface has imperial seals. The other, by contrast, not only bears the seal of a dealer, but is of inferior workmanship and is printed on very yellow bamboo paper. 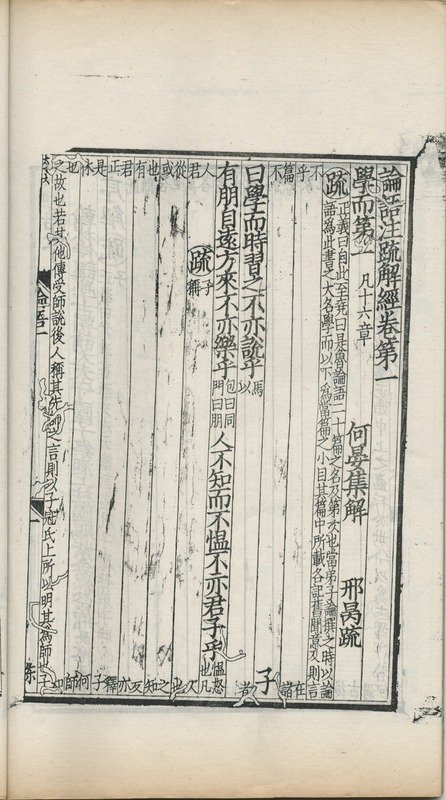 But the identification of the palace edition is confirmed by comparing the impression with specimen pages from the many copies of this work in Peking University Library that appear in CALIS.